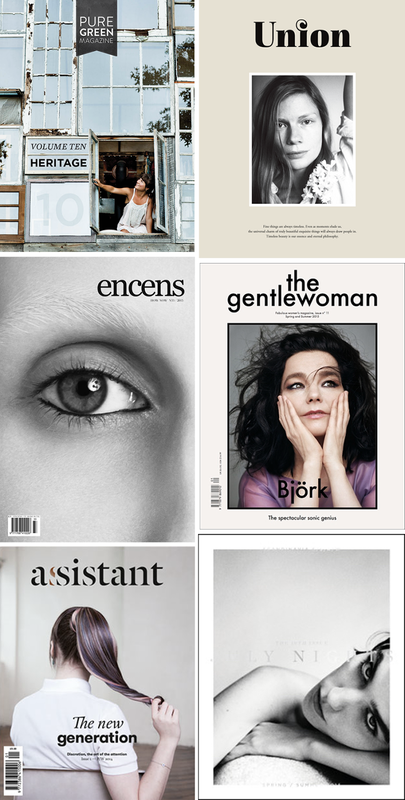 ... every time I see a beautiful title page that catches my heart, it is not just a magazine which I want to browse through, it is a piece which I love to collect for lifetime. The result: the heavier the load on the shelves, the happier I get. It is one of my favorite leisure - bad weather - activity to sneak through old and new magazines, fashion and interior themes to get inspired. These examples are currently in my shopping cart on Papercut shop. If you ask me, they have one of the best collection and combination of mags and books. My name is Sonja Maria Rettensteiner, I live in a small town in Salzburg, Austria. I work as an freelance interior stylist and since 2012 I am running my own lifestyle and interior concept store called HEIMELIG. Here we sell carefully selected, long-lasting & well designed goods. Klick the link below to see our webshop! Have a nice stay and happy shopping!